Pornhub as a brand has never been shy to advertise and get itself out there. This new campaign they’ve created to save the bees is no different! To help save the bees, they created an entire section of their website dedicated to films of bees. For every film that gets watched, Pornhub will donate to charities that will help save the bees. This video they created does such a good of explaining their thinking and how the project will work. Have a watch below. And don’t worry – it’s all Safe For Work! This entry was posted in Art Direction and tagged Art Direction, Bees, Film, PornHub, Save the Bees on April 22, 2019 by stellenboschacademy. This campaign by National Geographic draws such an interesting parallel between the use of straws and smoking cigarettes. For many years now, cigarettes have been acknowledged as harmful and showing plastic straws in the same way creates an entirely new context in which to look at them. This entry was posted in Art Direction and tagged Art Direction, National Geographic, Straw Ban, Straws on April 15, 2019 by stellenboschacademy. This beautifully art-directed campaign uses such a smart insight to make its point: People look for ‘lucky’ numbers in their immediate surroundings to decide on their lotto numbers. Sancho BBDO, on behalf of Baloto, Colombia’s biggest lottery brand, used this insight to great effect – highlighting where these lucky numbers might be in your immediate surroundings. This was tied together with the line: Your lucky numbers are everywhere. Play them. 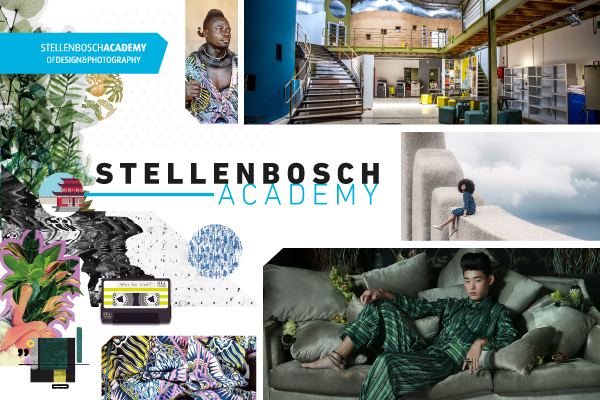 This entry was posted in Art Direction, Photography and tagged Art Direction, Lotto, photography, print, Sancho BBDO on April 3, 2019 by stellenboschacademy. A unique idea can often result in a unique angle on creative work, which McCann Mexico City has done so well. This work for Marinela, a Mexican producer of baked goods, does just that. The logic goes like this: If a large cake is for a large celebration, a small cake should be for a smaller but no less important celebration. So, these ads pay homage to small celebrations, like free Wi-Fi or threading a needle the first time. To top it off, they use a ridiculous illustration style that is just so much fun – it really pulls this entire campaign together. This entry was posted in Art Direction, Illustration and tagged Art Direction, Illustration, McCann Mexico City on March 27, 2019 by stellenboschacademy. Samaritans is a UK charity with a singular focus: To reduce suicide rates as much as possible. They do this through a number of methodologies but one of their main ones is by providing a 24 hour phone line where anyone can phone and speak to a representative from Samaritans, free of charge. To highlight this offer, Samaritans and Mother London created the following campaign that appeared on public transport in London. It uses the real handwriting of men who have been helped by Samaritans, sharing things they learnt after being involved with the charity. Simple art direction and a great idea make this campaign so special. This entry was posted in Art Direction and tagged Art Direction, Outdoor, print, Samaritans on March 25, 2019 by stellenboschacademy. This is what we would call a classic print campaign. It uses a product benefit, then represents it laterally and creatively – giving the viewer that ‘smile in the mind’ that good advertising can provide. Such great work from lg2 Quebec, with a great use of illustration to tell the story. Have a look at more of the campaign below. This entry was posted in Art Direction, Illustration and tagged Art Direction, Farnham Ale, print on March 11, 2019 by stellenboschacademy. This is a really smart one by Clemenger BBDO Wellington for the New Zealand Transport Agency. To show the importance of wearing your seatbelt, they found real people who had had their lives saved by seatbelts, told their stories and recreated their injuries using incredible makeup techniques. Each person in this campaign has a video on the campaign site that speaks through their recovery and tells their story – highlighting just how important wearing your seatbelt can be. This entry was posted in Art Direction, Photography and tagged Art Direction, Clemenger BBDO Wellington, NZ Transport Agency, photography, print on March 6, 2019 by stellenboschacademy.